May was marked by relentless torrential downpours in central Maryland. Just when homeowners thought it was safe to go back in their backyards, another storm would strike, dumping untold gallons of rainwater onto freshly-mowed lawns. Time will tell if June provides a reprieve and/or a merciful reply to those “rain, rain, go away” chants from kids anxiously anticipating the kickoff to summer. In the meantime, this wet weather provides an ideal opportunity to examine your property for any lawn drainage damages that may call for professional intervention. Standing water: Squishy, marsh-like lawns and puddles that persist even after the sun has shown its face are primary signs of substantial drainage issues. Often caused by poor soil quality or insufficient pitch, it is important not to walk on a soggy lawn, as foot traffic under these conditions can cause soil compaction. Poor growth: If left sitting in water, grasses, shrubs, and certain trees can suffer from oversaturation, be deprived of oxygen, and succumb to root rot. Inspect your landscape for dying, dead, or wilting plants. Erosion: Mulch, wood chips, and displaced soil near flower beds and/or deposited on your sidewalk or driveway are indicative of runoff issues. Foundation problems: Beware of soft, sunken areas around the foundation of your home. Remember: water will always flow to the lowest point on your property. If your yard is sloped, or inadequately pitched, it may be channeling water toward your house, instead of into gutters and storm drains. Water pooling in your basement – or stains on the wall – are also big signs that something is amiss. Pavement damage: Lawn drainage damages are not exclusive to your plant life. Water can seep into paved areas, such as your driveway and patios, causing cracks that gradually worsen and spread. Moss, man: Unlike grass, moss thrives in water – stagnant water, to be specific – so if you’re seeing moss where turf grass should be growing, chances are good you have a substantial drainage problem. And follow your nose. Poor drainage can cause foul odors to permeate your landscape. The unmistakable smell is caused by bacteria that grow in areas of little to no oxygen. Common reasons for lawn drainage damages include poor soil conditions, properties with a high water table, and poorly graded lawns. Professionally-installed drainage systems can help you keep your head – and landscape – above water. Chesapeake Irrigation & Lighting specializes in replacing or repairing gutters and downspout work, implementing underground downspout extensions, installing French drains, and much more. Our services are efficient and cost-effective, and keep your home safe and dry. Give us a call at 410-987-2969 or request a free quote today! Mother Nature took her good, sweet time this year, but warm weather ultimately – and repeatedly – returned to Maryland earlier this month. Statewide, mower engines revved, gardening tools were plucked from peg boards, and automatic irrigation systems were primed to quench lawns and gardens on a weekly or daily basis. But these steadily increasing temps, while conjuring daydreams of beach getaways and backyard barbecues, can also lead to a significant waste of water if your household is not irrigating properly. In fact, outdoor water usage in suburban areas can top out at approximately 80%. If that H2O is being sucked up into the ether (or washed down your driveway) before it even gets a chance to permeate your soil, you’ve got a tremendous waste of resources on your hands. Don’t be that guy. Instead, consider these 5 summer sprinkler tips to help create a savvy water management plan. 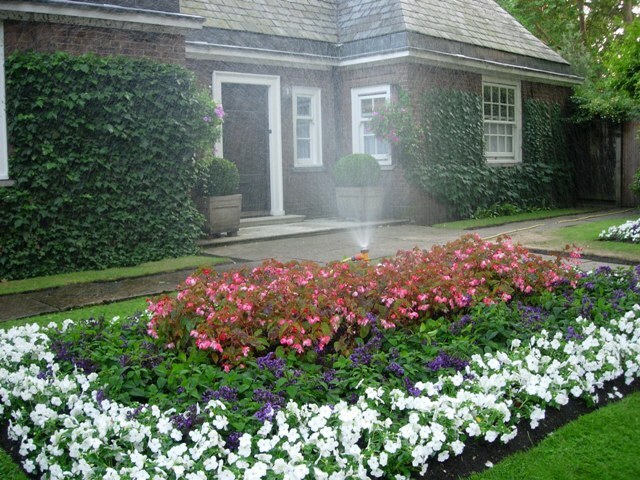 Choose your watering time wisely: Early morning douses are best during the summer. Aim for that twilight time between 4-6 a.m., and avoid midday soaks when the risk of evaporation is at its highest. Monitor for faulty equipment: Consider this tidbit the next time you’re signing that check to pay the water bill. According to the EPA, a leak no bigger than the tip of a ballpoint pen can waste 6,300 gallons of water per month. Make it a habit to periodically check for clogs and debris in nozzles, inspect hoses and valves for leaks, replace washers when necessary, and repair leaky spigots. Many of these tasks can be DIY endeavors, but keep the number of your irrigation specialist handy. Don’t forget your timer: Make certain everything is copacetic with all automatic irrigation functions. Reevaluate how many times per week and times per day your lawn requires watering, and verify the proper duration. 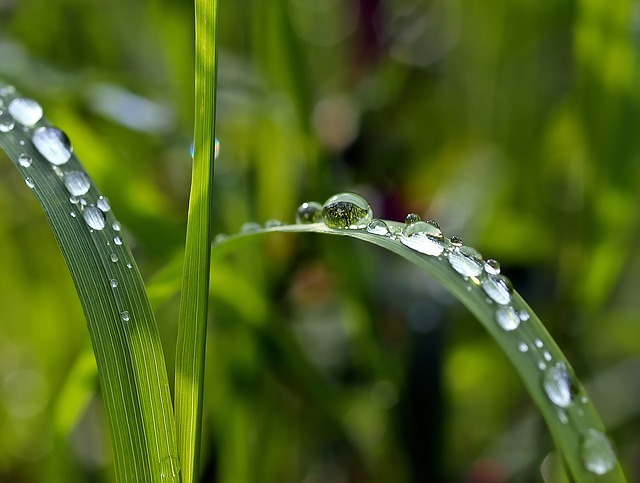 Consider drip irrigation: Drip systems direct a slow and measured supply of water to your plants’ roots, thereby eliminating waste caused by summer scorch and evaporation. Drip systems are particularly ideal for small areas, as well as mulched areas – as the technique soaks the soil without disturbing the mulch. Retrofit your system: Automatic irrigation tech has come a long way. Contact your irrigation contractor to discuss smart controllers that can target zones with just the swipe of a finger, or weather-based systems that automatically adjust your watering schedules based on the current conditions for your geographical area. According to manufacturer Rain Bird, these new tools can help homeowners cut water waste associated with their lawns by up to 70%. Additionally, ask your contractor about systems and equipment that are EPA WaterSense certified. 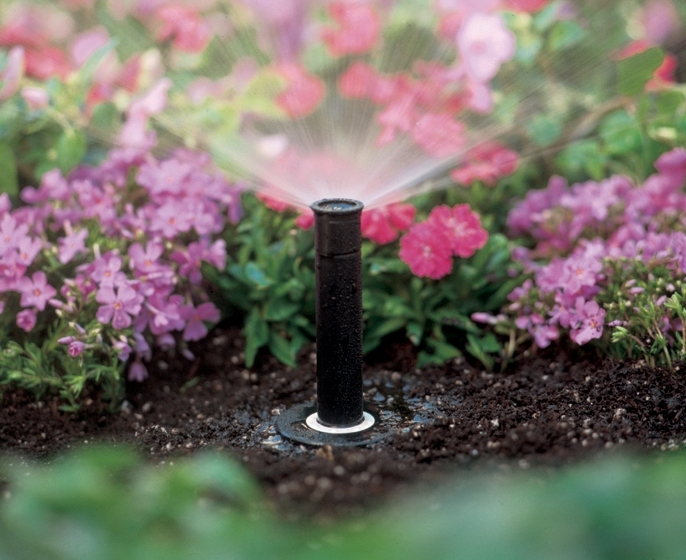 These summer sprinkler tips can help to get you started on a wonderful, water-smart season. If you have questions, however, don’t hesitate to call our crew at Chesapeake Irrigation & Lighting. One of our specialists can drop by to evaluate your landscape needs, and offer suggestions to create a property that is both water-conscious and captivating at the same time. Call us at 410-987-2969, or fill out the form to request a quote. So the bad news is that graying clumps of snow still dot yards, parking lots, and grassy median strips. But the good news is that we can see them, in broad daylight, when we leave work at 5 p.m. That means the days are getting longer. And that means that warmer weather – spring weather – is right around the corner. Take it one step at a time: Show your guests the way to a good time with professionally installed pathway lighting. Low-voltage LED options offer safe, secure navigation around your home and gardens, while also contributing to the visual appeal and atmosphere of your property. Similarly, staircase lighting – such as recessed strip lighting mounted underneath each riser – can prevent guests from taking a nasty spill, while adding class and dimension to your property. Illuminate upward, downward – or a bit of both: Down lighting, or moonlighting, uses LED fixtures placed high in a tree canopy to illuminate structures below. The effect is a subtle, almost romantic, glow. Hidden from view, moonlighting can also aid in illuminating paths and walkways, and when properly installed, casts dynamic, dancing shadows upon the ground. Up-lighting, on the other hand, is created by placing fixtures at ground level, and training them upwards at landscape features to draw bold attention to a tree line, garden wall, or other architectural elements. Accentuate the positive: Draw attention to your landscape’s most impressive hardscaping or water features with accent lighting. Waterfalls, for instance, can be lit from within to provide a soothing, ethereal glow, while spotlights or floodlights can showcase retaining walls, pergolas, patios, and more. Incorporate LED strip lighting under the railing of your deck or the cabinet of your outdoor kitchen for discreet, yet vibrant impact. Make things easy on yourself: Landscape lighting technology has come a long way in the last 10 years. Access your LEDs when you need them. Implement motion sensors and security lighting for added safety measures around your home. Automated lighting systems place zoning and dimming controls at your fingertips, and can even allow you to add a splash of color to your next spring get-together with just one swipe of a smartphone. 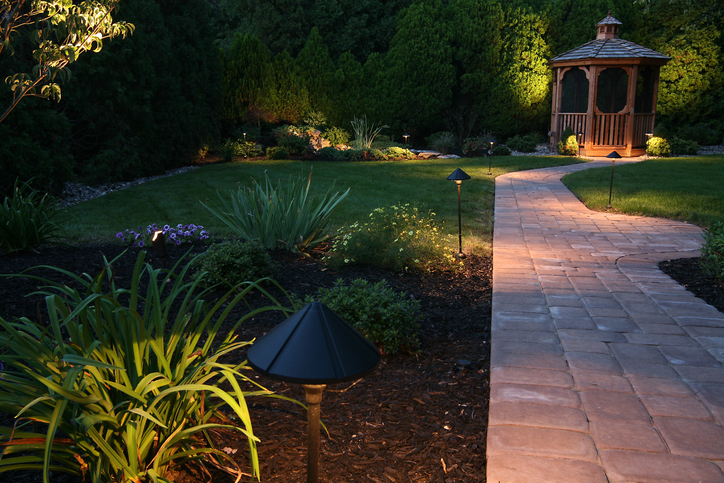 Chesapeake Irrigation & Lighting specializes in spring landscape lighting solutions. Our state-of-the-art tech conserves energy while creating new aesthetics for your home. Our crews can customize any job, striking the perfect balance between fun and function. Not only that, but customers who sign up for an irrigation or lighting system install by April 1 will receive $250 off their bill. Call us today at 410-987-2969 to shed some light on the savings you cannot afford to miss, or request a quote today. 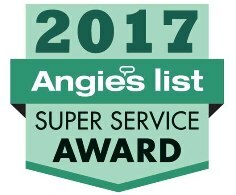 Chesapeake Irrigation & Lighting, Inc. is proud to announce that it has earned the home service industry’s coveted Angie’s List Super Service Award (SSA). This award honors service professionals who have maintained exceptional service ratings and reviews on Angie’s List in 2017. Chesapeake Irrigation & Lighting, Inc. has been listed on Angie’s List since 2005. This is the fourth year they has received this honor. Even though spring fever arrived, full force, on the heels of that 80 degree double header in mid-February – the calendar doesn’t lie. Winter is technically with us for a few more weeks. That being said, most irrigation contractors encourage homeowners to schedule their sprinkler system’s spring startup service as early as possible. At Chesapeake, we have hundreds of systems to activate throughout Maryland and D.C. And inevitably, many need repairs. That means we get really booked, REALLY fast. Are you on the list yet? The third week of March is typically a safe time to flip the “on” switch. Even then, only systems with indoor backflow preventers should be activated, as there is still the remote chance of a freeze. Systems with outdoor backflow units often follow by the first week of April. Inspecting the rain sensor and controller. Your service tech will review controller settings, adjust date and time, and replace the batteries, among other housekeeping tasks. Inspecting and cleaning the backflow assembly to ensure the device endured the cold winter without any damage. Inspecting and/or replacing damaged or worn components, , including nozzles, sprinkler heads, and more. Visually inspecting each valve to ensure no leaks are present. Opening the main water valve gradually to prevent damage from “water hammer,”or high-pressure surge. Inspecting each zone for proper operation and to detect potential pressure and/or electrical issues. Adjusting sprinkler coverage to avoid driveways and other paved surfaces, and minimize waste. Your spring startup service is a relatively involved process, requiring meticulous attention to detail, which is all the more reason to plan ahead. Many homeowners think there is little point in having their systems turned on until they are ready to start watering their lawn. But customers who call in May expecting a contractor to show up the next morning are in for a big surprise. At Chesapeake, for instance, we can be booked for as much as 3-4 weeks out. Even when scheduling early, Chesapeake will not risk damaging our customers’ sprinklers. When activating systems in late March or early April, all controllers are left in the “off” position so that all our customers have to do is turn a knob when it’s time to start watering. The calendar does not lie. Although winter is with us for a few more weeks – spring is waiting for us on the next page. And so are our lawns and gardens. Make sure your sprinkler system is ready for them by scheduling your spring startup service with Chesapeake today. Call us at 410-987-2969 to learn more. Love the idea of an LED retrofit? Searching for the right solar fixtures to provide a safer, more secure landscape? Deciding on materials is the easy part. Finding someone to handle the installation is somewhat trickier. Not all outdoor lighting contractors are created equally. Ask the right questions when you interview candidates. Here are four suggestions that should shed some light on their qualifications. What is your experience? Irrigation & Lighting is a tough, competitive business. Put simply, there’s a reason that outdoor lighting contractors who have been around for decades have managed to do so. In this industry, longevity can be equated with quality, as each consecutive job yields new experience. Are you licensed and insured? You might be surprised how often this particular tidbit is overlooked by customers who simply want fast results. But hiring an unlicensed “professional” could leave you, your project, and your security in the dark, quite literally. Industry credentials speak volumes about a contractor’s dedication to quality and continued education. It should be one of the first things you look for in a prospect. Additionally, professional contractors must carry adequate insurance to protect not only themselves, but also their clients from injury. If permits or clearances of any kind are required for certain additions to your home, you will want to make certain your outdoor lighting contractor can secure those in advance, as well. Can you provide references? There’s really only one acceptable answer to this question. True lighting specialists take pride in their ability to create cohesive, creative installations. Those who are hesitant to provide referrals – either by phone or a simple drive-by – should raise immediate concerns. Chesapeake Irrigation & Lighting is fully licensed by the Maryland Home Improvement Commission, and has designed, installed, and maintained thousands of systems throughout Washington, D.C. and the Greater Baltimore area for more than 35 years. 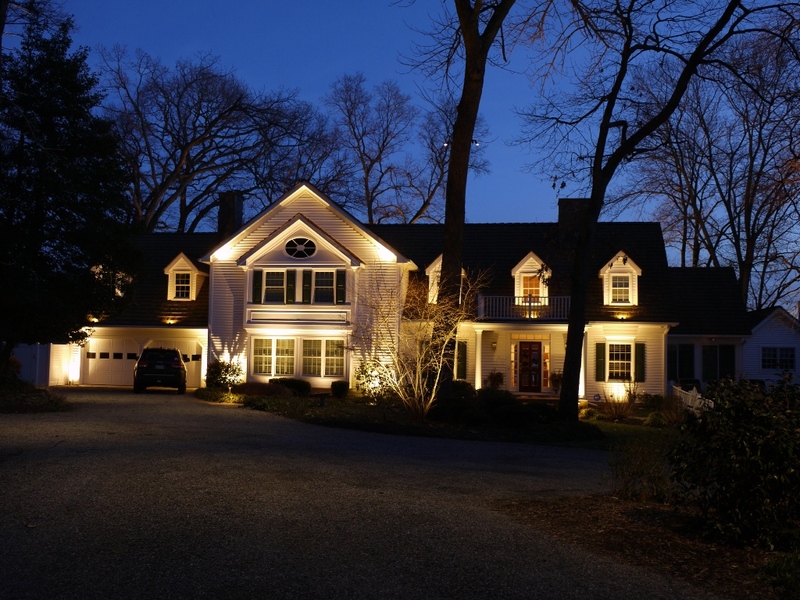 Our team has the answers to any landscape lighting questions you might have. Interested in a consultation? Fill out the form below to get started! Serving Baltimore City, Baltimore County, Anne Arundel County, Howard County, Carroll County, Harford County, Washington DC, and portions of the Eastern Shore, Montgomery and Prince Georges County.